An average PC-user switches between windows with Alt+Tab hundreds of times per day! It’s one of the most common actions performed on a computer. 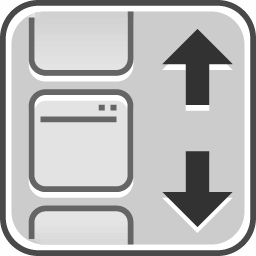 With Alt-Tab Terminator, you can not only switch tasks faster, but have the full control over any opened window, all within one click away. With Alt-Tab Terminator, you get the full control over any opened window – you can close, minimize, maximize, restore the main window, run a new copy or even terminate the application. You can press F4 a few times in a row to close windows one by one without activating them. Visualization is the key point. Alt-Tab Terminator shows you the exact live desktop preview of the application you want to switch to, even if it has multiple child windows. Navigate through the task list with the keyboard (Tab, Arrow Keys, Home, End, etc.) or the mouse – simply place the mouse pointer over a task or use the mouse wheel. Multiple window titles are arranged on a vertical task list; a large icon is placed by each one of them. Finding the right window has become much quicker. Press the Menu button in the top-left corner of the switching window to access the program menu and settings. Press F11 or click the Full Screen button in the bottom-left corner to maximize the switcher window to the whole screen. Size: 2,00 / 33,17 MB.